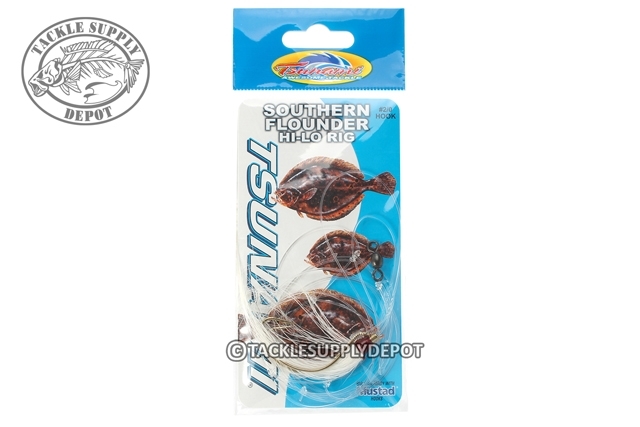 The Tsunami Southern Flounder Hi-Lo Rig is perfect for when dealing with Flounder and Fluke. Featuring two wide gap hooks, barrel swivel and bucktail for added attraction. Match with some bait and wait for those bottom huggers to strike. Squid, sea worms, shrimp and all sorts of cut bait or live baitfish work best on these rigs.